Labor Day is celebrated in both the U.S. and Canada on the first Monday of September. It marks the 'unofficial end' of summer. It's also the time when fashion has dictated that it's not okay to wear white after Labor Day. For decades people have followed this rule of not wearing white without even knowing the real reason behind it. Even some who consider themselves experts in fashion have no idea. It's only been the last decade when designers and fashion stylists have thrown away the rules of caution. 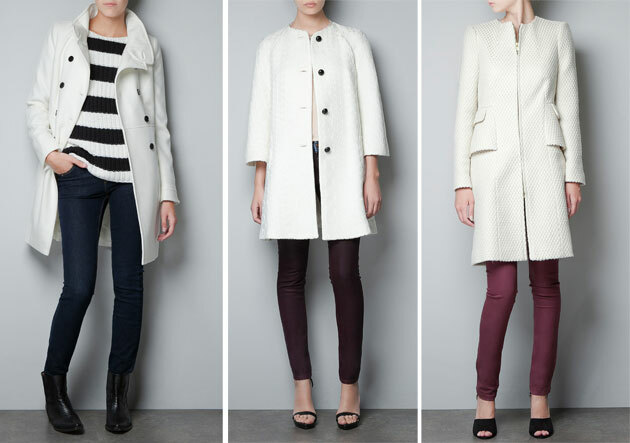 White has been embraced by a few who continue wearing it through the fall. Why the no white rule? White was a color worn by the rich. At the onset of summer it was traditional for them to get rid of the dark clothing worn the rest of the year and head to vacation spots where they adorned themselves in white and other light colors. Of course the poor couldn't afford to buy new clothes just because it was a new season. Time Magazine published an article about the history of wearing white after Labour day and they spoke to author Charlie Scheips. He is the author of American Fashion and co-authored Andy Warhol: The Day the Factory Died. and he told Time Magazine, "If you look at any photograph of any city in America in the 1930's, you'll see people in dark clothes, many scurrying to their jobs. By contrast the white linen suits and Panama hats at snooty resorts were 'a look of leisure'." By the time the 1950's came around the tradition was stuck and people continued not wearing white after Labor Day. It was a rule just like the rules of etiquette and nobody chose to break it. If you did you were usually ridiculed and some even shunned. One of the other reasons often sited for white in summer-only months was that it's the color that reflects light and thus keeps you cool. In the days before air conditioning wearing clothing that would keep you cooler was a key part of beating the heat. It also is associated with the lightness of summer because it's not dark and drab. Because this color is associated with the season, psychologically, people move away from this once the season is over. (Left to Right) J.Mendel, Reed Krakoff, Alexander McQueen, Nina Ricci and Derek Lam. These days the fashion rules are not so strict and people do what they feel most comfortable doing. When it comes to wearing white in the fall and winter months you can tone it down by mixing it with other neutrals like black or grey. Another way to wear it is layering various shades of white or soften it up with cream. The other important thing is to avoid linens and very lightweight materials in the cold months when you wear white. Choose fabrics that are rich and have some texture to it. Go for wool, polyester blends worn in a winter or eggshell white make for great items in your wardrobe for the new season.